Out of all of the major banks, Wells Fargo is one of the most efficient when it comes to short sales and the processing and handling of these sales. Wells Fargo is also one of the only banks that actually provides a written short sale time line and on average they are able to issue a short sale approval within 25-45 days. The first step to initiating a Wells Fargo Short Sale is to list your home with a Realtor who specializes in short sales and has significant experience with this lender. Your agent will be critical to the success of your transaction and while many agents have begun marketing themselves as short sale specialist, few of these individuals possess the knowledge and experience required to warrant this title and it is imperative that you select a true short sale specialist to represent you in the sale of your home. The listing of a short sale is initially quite similar to the listing of a traditional sale, however, your lender will require additional documentation including the following; the previous 2 years tax returns (for self employed borrowers these should include tax schedules), pay stubs for the previous 2 months, your previous 2 months bank statements for all accounts, borrower financial form (a detailed list of all of your income, expenses, loans and bills), a hardship letter (explaining why you are no longer able to afford the mortgage), and a third party authorization (gives your lender permission to speak with your agent about your account). Just as the you were required to apply and submit documents to obtain the loan, the bank is now going to require that you apply and submit proof that you can no longer longer afford the loan. The bank requires these documents and uses them to help better understand the borrowers financial situation and to determine if the borrower should be granted a short sale based on their circumstances.The bank is also going to require an explanation of the circumstances including what happened to put you in the hardship that you are in, ultimately causing you not to be able to afford your payments. To qualify for a short sale Wells Fargo will want to see a clearly demonstrated financial hardship. Acceptable financial hardships include; relocation, loss of a job, payment increase or mortgage adjustment, business failure, reduced income, to much debt, illness or death, divorce, damage to property, incarceration, etc. In any of the fore mentioned cases, Wells Fargo will typically agree to a short sale and will accept this as payment in full on the loan (ie. the bank will not demand cash or a promissory note). Call us for additional details on acceptable hardships. Thus the documents listed above will enable you in your efforts to successfully present a clear case to Wells Fargo that you are eligible and deserving of the relief provided by a short sale. In order to reduce the processing and response time Wells Fargo advises that homeowners and their Realtors notify Wells Fargo Home Mortgage of their intention to sell the property as soon as the listing agreement is signed. This allows the bank to complete their borrow financial evaluation prior to receiving an offer. We handle this on our clients behalf and will also handle the submission of the short sale application. Once an offer is received your agent will submit this to Wells Fargo along with an estimated net to seller sheet. Wells Fargo will then order a BPO, or Broker Price Opinion on the property. The BPO is an appraisal or assessment of the home’s current market value and is a key step in the short sale process. Once the BPO valuation is returned the negotiator will submit the entire package for review and short sale approval. 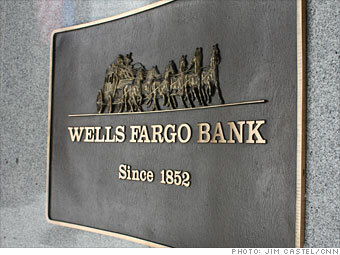 While Wells Fargo suggests their standard processing time is 36 days, they are currently averaging 37-45 days with this vary depending on the type of loan, whether or not the loan is insured with a PMI policy, if there are any additional junior lien holders, the bank’s current work loads and the number of files the negotiator is currently working. Files that are set to close before the end of any given month receive priority treatment. Have a Wells Fargo Mortgage and need to do a Short Sale? If you have a loan with Wells Fargo and are considering a short sale in Columbus, Ohio or the Central Ohio vicinity make sure you are working with a real estate agent who is a short sale specialist, while many agents claim to be proficient in these types of sales, few possess the knowledge and experience to warrant the title of short sale specialist. We have a working relationship with Wells Fargo, and contacts within the bank’s executive offices whom we can call upon to ensure our client’s short sales are processed in an expeditious manner, and ultimately that they are approved under the conditions and terms required. Wells Fargo is participating in the Home Affordable Foreclosure Alternatives Program, or HAFA and eligible homeowners may be entitled to $3,000 in financial assistance to help with your relocation expenses. Columbus OH Short Sales, Columbus OH Realtor, Short Sale Specialists, Short Sale Process, Ohio Foreclosure Process and your Options, Avoid Foreclosure, Short Sale vs Foreclosure, What to do when you owe more on your home than it’s worth, How will a short sale affect your credit, Understanding Short Sales, Wells Fargo Short Sales, Home Affordable Alternative Program (HAFA), What’s My Home Worth?